36 year old male who was struck in the foot by a piece of metal equipment at work. 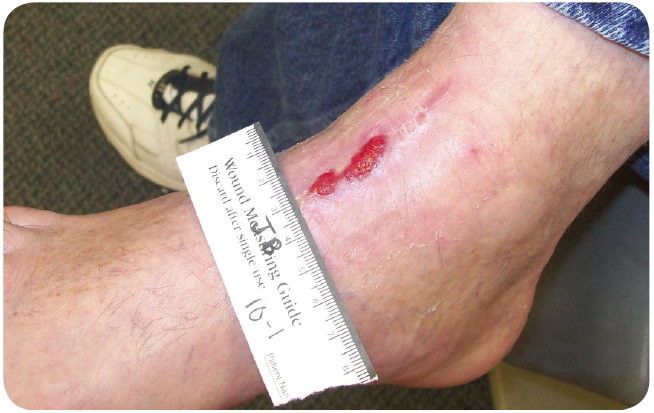 He developed a large hematoma with necrosis of the top of his foot. 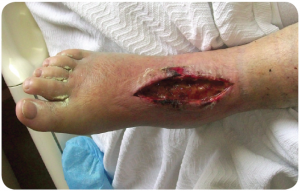 The patient initially underwent debridement and primary closure; however, he had incisional dehiscence and was referred to the Wound Healing Center of Indiana at Bedford. 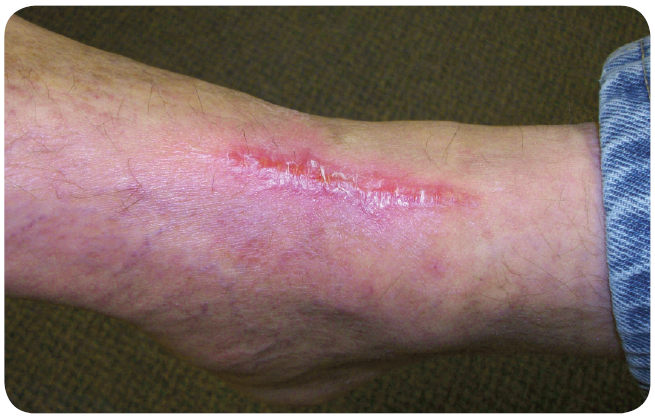 It was decided that Negative Pressure Wound Therapy was the best course of action and was applied using the Pensar Medical WoundPro and the Chariker-Jeter technique. Continuous pressure was applied at 100mmHg to the wound with dressing changes every three days. Rapid healing was noted over the next two months, and Negative Pressure Wound Therapy was discontinued. 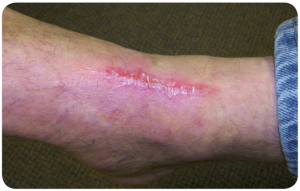 The patient was then started on a collagen based dressing with a composite topper that was changed every third day. Final healing occurred rapidly with no loss of function noted after healing.